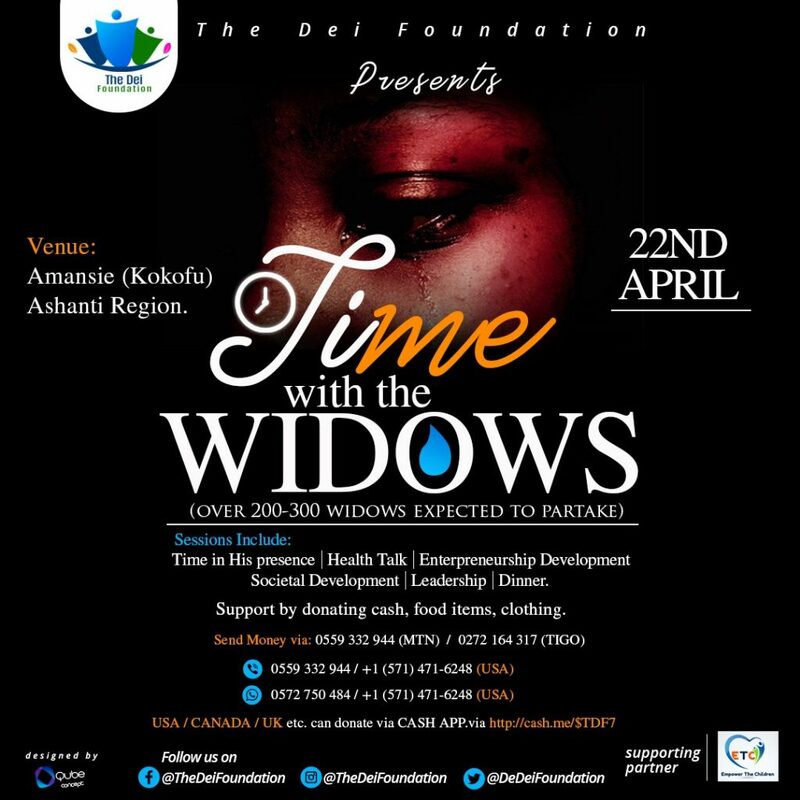 Non-governmental and philanthropic group, The Dei Foundation is calling on all and sundry this Easter to join them as they give hope to widows in a program dubbed “Time with the Widows” in Amansie (Kokofu) in the Ashanti region. 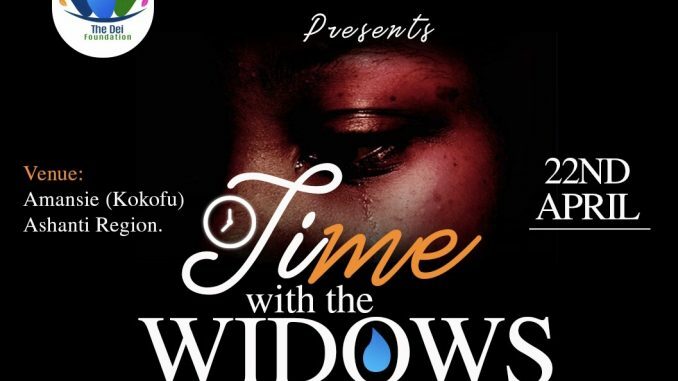 The day’s program comes off on Monday, 22nd April, 2019 with about 200-300 widows expected to partake. They’ll be taken through sessions such as time in his presence, health talk, leadership as well as valuable lessons in entrepreneurship and social development. There will be dinner to help them socialize and integrate with one another. The general public is hereby entreated to support this noble course either in kind by donating food items and clothing or in cash. Cash donations can be sent to mobile money numbers 0559332944 (MTN) or 0272164317 (AIRTELTGO). You can also contact the above numbers for further details. Those outside Ghana can contact +1 (571) 471-6248 (USA). Foreign donations can also come through via CASH APP, http://cash.me/$TDF7. God bless you as you give to support a worthy course.